On Good Friday Christians remember the day that Jesus was killed on the cross. 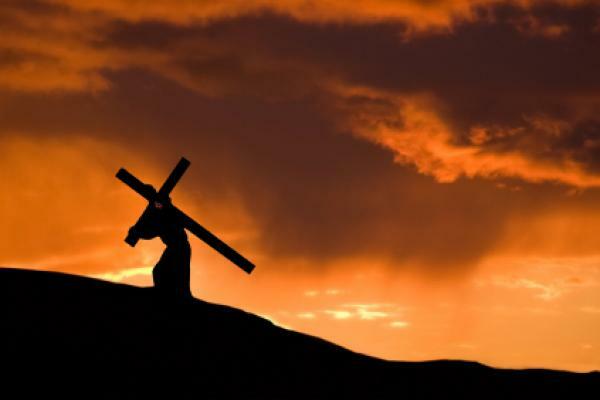 He was nailed to a wooden cross by Roman soldiers. This is the reason why the cross is an important sign for Christians today. The Catholic Church treats Good Friday as a fast day, which in the Latin Rite of the Church is understood as having only one full meal (but smaller than a regular meal) and two collations (a smaller repast, two of which together do not equal one full meal) and on which the faithful abstain from eating meat. In countries where Good Friday is not a day of rest from work, the afternoon liturgical service is usually put off until a few hours after the recommended time of 3 p.m.